Low Income Housing Tax Credits (“LIHTC”) are a great tax planning tool that real estate developers and investors should take advantage of. Additionally, LIHTC can overlap with other tax credits and tax breaks to further maximize return on investment. LIHTC projects and other tax credits and tax breaks can be used in conjunction, with proper planning. The low-income housing tax credit program is a Federal Program administered by the Department of Housing and Urban Development (“HUD”) in conjunction with state agencies. In Florida, the Florida Housing and Finance Corporation administers the LIHTC process. These programs are used to finance the construction and rehabilitation of low-income affordable rental housing. This program was created as an incentive for private developers and investors to provide more low-income housing. 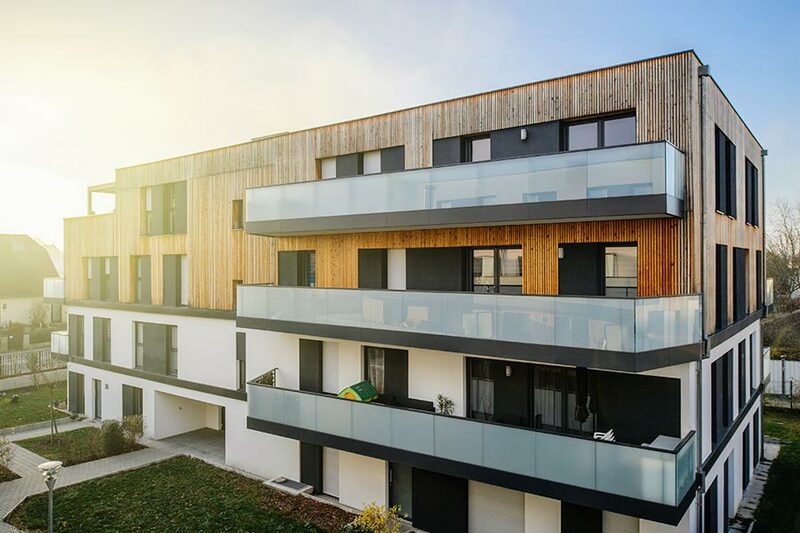 The LIHTC gives investors a dollar-for-dollar reduction in their federal tax liability in exchange for providing financing to develop affordable rental housing. To offset tax liabilities, investors make a capital contribution to a LIHTC project in exchange for the right to use the credits. In order to use the credits, the investor must join in the ownership of the project, typically through the formation of a limited liability company or in partnership with the developer. The investor purchases a share in the partnership, typically a majority of the shares because the greater the investor’s ownership share, the greater amount of LIHTC credits they receive. The Internal Revenue Service (IRS) allocates federal tax credits to state housing credit agencies based on each state’s population. There are both competitive and non-competitive LIHTC. The credit claimed by a taxpayer equals a credit percentage multiplied by the project’s qualified basis. The percentage is larger for new construction or substantial rehabilitation (roughly 9 percent but specified in the law as a 70 percent present value credit). Properties acquired for rehabilitation or for projects funded using tax-exempt bonds (roughly 4 percent but specified in the law as a 30 percent present value credit). The percentage is applied to the qualified basis, which is the portion of the cost of the housing project rented to tenants. Typically, the goal is to rent 100 percent of the units to qualifying tenants. In the case of 9 percent credit projects, those interested apply through a competitive bid process for allocations of tax credits. The state agencies award LIHTCs for qualified affordable housing projects based on a comparative review point system reflecting each state’s priorities. Point systems include additional points for the desired type, location, and ownership of affordable housing. Due to the limited nature of the LIHTC process, the process typically involves administrative court challenges. It is important that businesses understand that if they apply for a LIHTC bid and are not granted the right to build the project then they have the right to challenge that agency action in administrative court. Many applicants that are not granted the LIHTC bid and challenge the denial of the bid in administrative court come out on the other end successful. We have the know how to handle this entire process for you from start to finish. Opportunity Zone Funds are a tax break that was created under the Tax Cuts and Jobs Act. Under the Act, after selling an asset (stock, bond, real estate, business, etc.) an investor reinvests the money gained from the sale into an opportunity zone fund within 180 days after the sale. The fund has to have 90% of its holdings in an opportunity zone funds. If the opportunity zone land is held by the taxpayer for at least five years, the basis on the original gain is increased by an amount equal to ten percent of the original gain. If the fund interest is held by the taxpayer for at least seven years, the basis on the original gain is increased by an amount equal to an additional five percent of the original gain. After ten years, the taxpayer can sell its fund interest free of federal income tax, regardless of how much the fund interest has increased in value. Opportunity Zone Funds and LIHTC are two tax planning tools that can be applied to the same property in times, with proper planning. There are additional federal, state and local tax credits, tax breaks and tax refunds that your business could be taking advantage of. Contact the Law Offices of Moffa, Sutton and Donnini PA to find out more about the overlapping tax breaks you could be taking advantage of to maximize return on investment. We will walk you through each step of the process from drafting a strong application, to challenging the agency action in administrative court, if needed, to applying for the tax credits and refunds. Paula Savchenko is an attorney at the Law Offices of Moffa, Sutton, & Donnini, P.A, based in Fort Lauderdale, Florida. Ms. Savchenko practices primarily in the areas Administrative Law and Taxation, as she counsels and represents businesses and individuals in their dealings with government agencies. More specifically, most of her work involves state and local tax and regulatory matters, with a focus on the marijuana and hemp industries. She also speaks and writes regularly on taxation, marijuana and hemp licensing. In addition to serving on the board of the Florida Bar – Administrative Law Section – South Florida Chapter, she also serves on the board of the Greater Fort Lauderdale Tax Council, as well as Cannabis Law Accounting and Business.